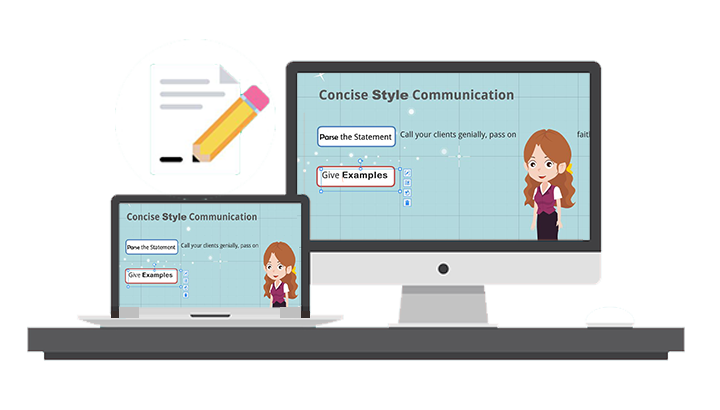 templates, Animiz enables all users make animated presentations easily. Animiz text editor allows you to use multiple fonts in the same text block, offering enough flexibility for you to make texts stylish enough to catch audience's attention, and reducing the number of layers needed to achieve the same effect. Free to apply a kind of font specifically to some texts to highlight them. You can maintain the rest of text's formatting intact. In this animation presentation tool for windows, you have the freedom to select a number of elements, move, rotate, flip, and duplicate them together. Just hold "Shift" button on the keyboard and select the elements with your mouse to achieve this effect. There are no limits to the amount of elements that you can select. 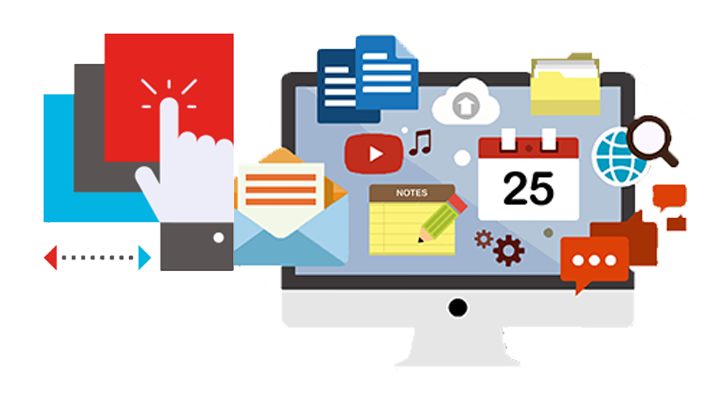 Now start to take control of multiple elements to reorganize your story without hassle. You are able to copy the element from one scene to another scene. This is very useful for users who want to copy a specific element on one scene, but refuse to copy the entire scene. In addition, you can choose to copy a number of elements at the same time on one scene, and paste all these elements on another scene with one click. No tedious work that you have to constantly starting adding new elements. Find difficult selecting the small element on a large element? Get tired of the element that is selected to move by mistake? Locking the element will solve your problems. How to do that? This animation presentation tool for windows gives you an easy way to lock elements. Just select the element and click the lock icon. Then the element position will be fixed , and you can never select this element until it is unlocked. 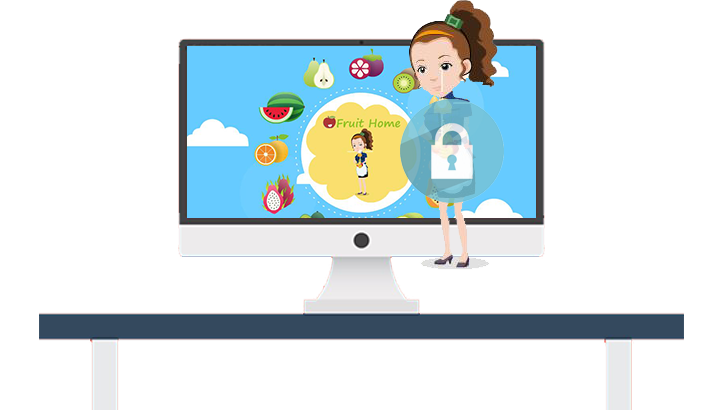 Create an Animiz account online for free on the website of Animiz. 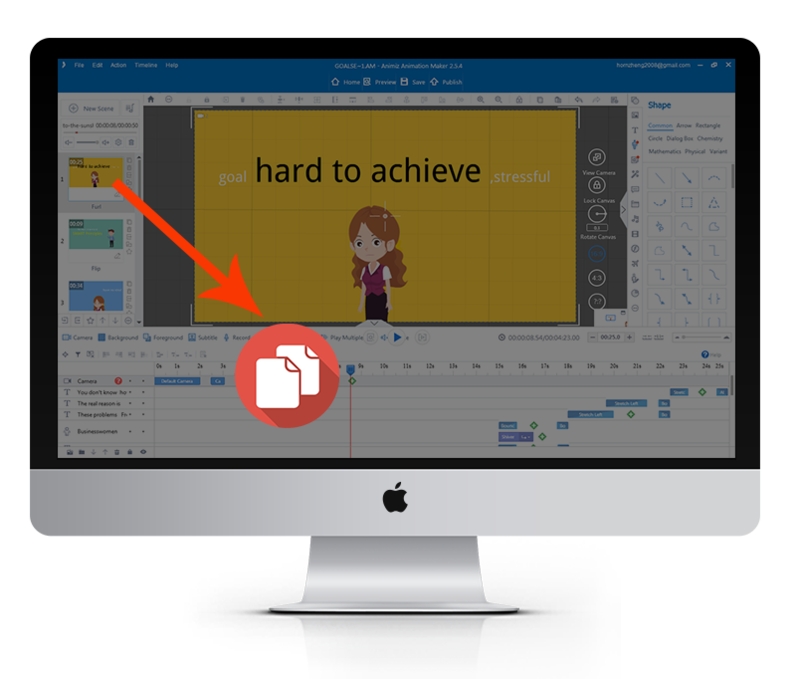 Import your PPT file to start creating an animation presentation. Add multiple elements like texts, images, audios and animated characters. Use Animiz tool to move, rotate and flip multiple elements to make them more beautiful.